Just a short update today. 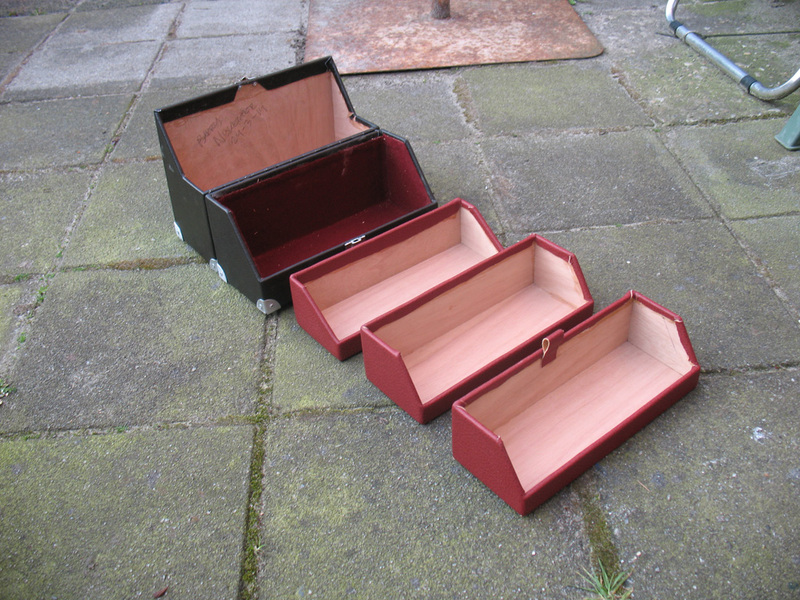 I've covered the inside trays of the case with red leather as you can see from the pictures. 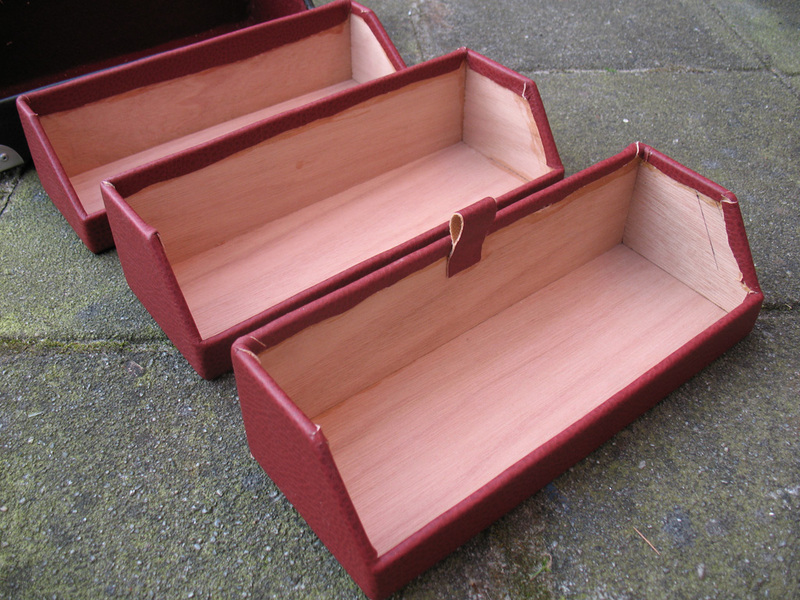 After this I will cover the inside of the trays with black felt. Also got an aluminium handle, have to install it yet as I'm trying to figure out if the bolts that will hold the handle will clear the trays when the lid is closed. Tomorrow, perhaps the case will be completely done. Stay tuned.